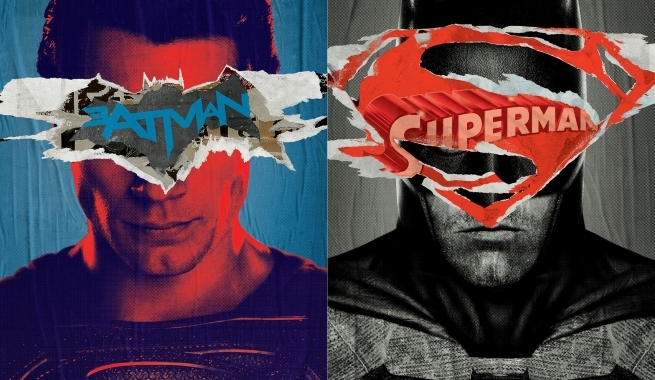 As the release of Batman v Superman gets closer (a little bit more than three months to go!) the promotion for the film is starting to intensify. Not only that, we also got a new promo clip from the official Batman v Superman site..
And this is something you don't want to miss, costume designer Michael Wilkinson was in Brazil promoting Batman v Superman a few days ago, and he shared some really cool details about Henry's costume..
Omelete: Is the Superman costume the same one from Man of Steel? MW: It’s a little bit different. The amazing thing about working on these big franchise films is that everytime you do another, you get to make the costumes even more compelling and more exciting. The one thing I love about my job is that we get to explore new costume technologies and new ways of making costumes. Two years later, there’s new materials, new digital technologies. We use a lot of 3D printing and we scan our actors and we build costumes in the computer. MW: So, with the Superman costume, we have a new material. The suit is a little bit more sheer, so you really get the sense of this metal undersuit coming through the blue oversuit and we have a new fabric for the cape. 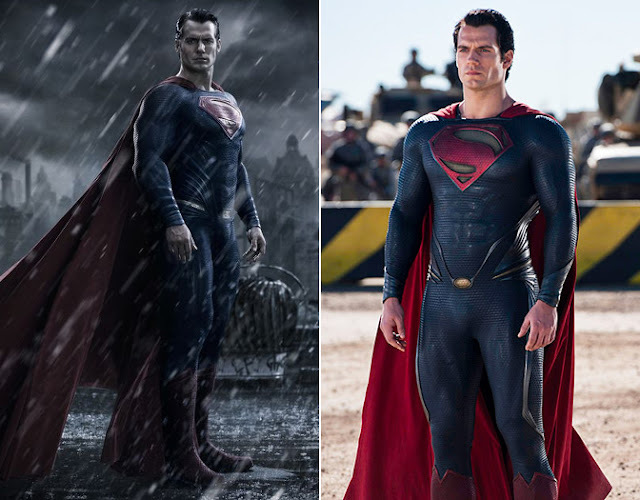 And, also, Zack wanted to include a Joseph Campbell quote in the suit, so there’s a quote from Joseph Campbell: ‘Where we thought to stand alone, we will be with all the world‘ and we decided to translate that into Kryptonian and we put it through the ‘S’ on his chest, through his cuffs, his belt, through his bicep, just to give a little extra something for the fan with very sharp vision to appreciate. Wilkinson went on to talk about the production time for Justice League in London: It will shoot for six months, with about six months of prep work (so basically Henry will be busy as Supes all of 2016). 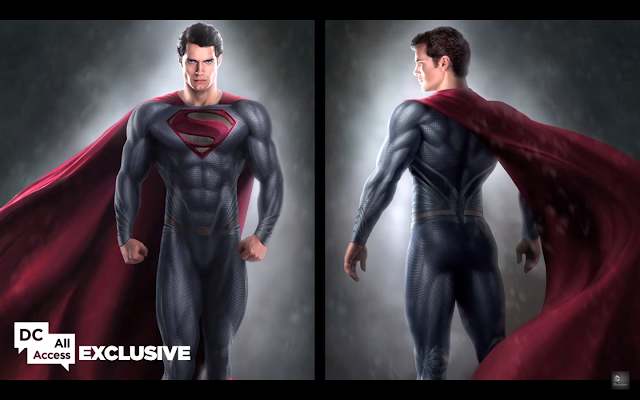 The costume designer also confirmed some spoilery details about Batman v Superman, so watch his interview (at about 49:55) or read the details here. 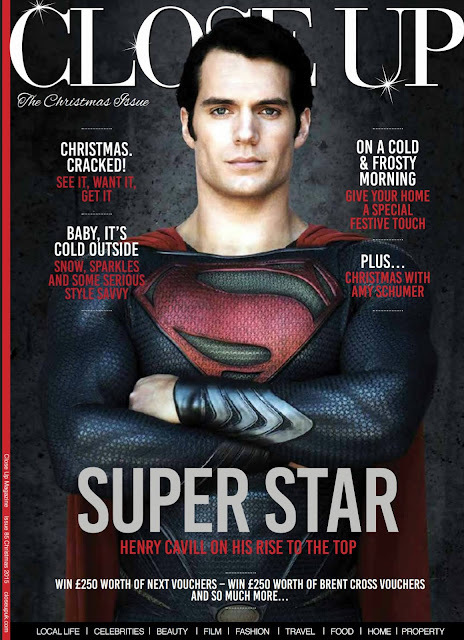 Finally, Close Up magazine (UK) has shared their Q&A with Henry (apparently conducted during the press tour for The Man from U.N.C.L.E.). We've shared some of the quotes before, since it appears to have been a roundtable interview, but make sure to give it a read. March will be here in no time, and we're ready to bring you the latest Batman v Superman news (and everything Justice League) as it happens!